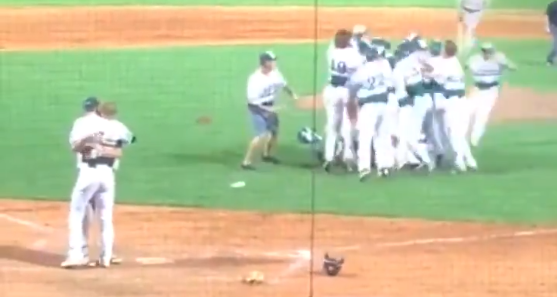 This is taking sportsmanship to an entirely different level. Last Wednesday at a high school baseball game in Minnesota, an incredible display of sportsmanship was shown following the last out of a game when Ty Koehn of Mounds View High School struck out Totino-Grace’s Jack Kocon to advance his team to the state championship. The catcher immediately ran towards Ty to celebrate, but he blew off his teammate and went straight for the batter to give him a hug. It turns out the two were actually great friends as Ty spoke about why he did what he did after the game. “I knew the game was going to keep going or it was going to end right there,” Koehn told BringMeTheNews. “I knew I had to say something. Our friendship is more important than just the silly outcome of a game. I had to make sure he knew that before we celebrated. After the hug, Koehn joined his teammates in celebration.